Andrew is a business mentor and coach with a provocative and inspiring approach to achieving performance. He is working with a number of third sector charities, social enterprises and NGO’s and has extensive private sector and public sector experience including the criminal justice sector. Andrew is passionate about values based leadership and how it can transform individuals and organisations. 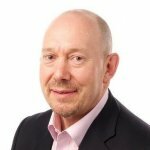 He has a wide ranging corporate background, combined with an international consulting and coaching career and over 30 years’ experience of leadership, from leading specialist teams to corporate board roles. Andrew is highly networked and is able to support clients by brokering powerful connections. Andrew operates effectively across diverse sectors, with deep and wide ranging sector expertise and addresses the challenge of achieving personal visions whilst delivering outstanding business performance. Extensive coaching to senior teams in regional charities dealing with vulnerable individuals. Also a practitioner successfully running two social purpose consultancy businesses with well-defined social missions operating in a competitive and changing environment.